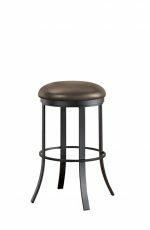 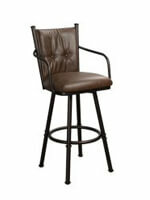 Buy Haines Upholstered Wood Kitchen Stool in Leather - Free shipping! 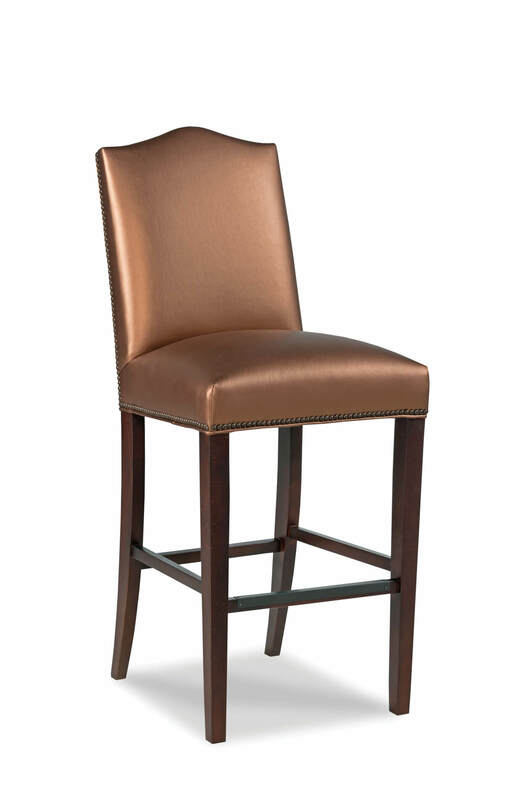 Currently on backorder until June 7. 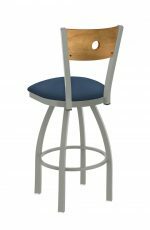 While this popular design has appeared on many websites across the internet, it’s actually constructed much better. 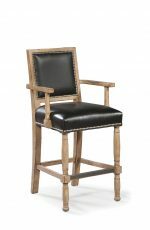 Made from solid Hardwood, the Haines stool by Fairfield is built to last for decades (not just a couple years). 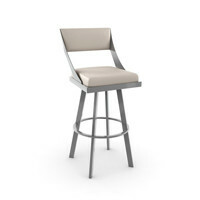 It also comes fully assembled and is ready to enjoy right out of the box. 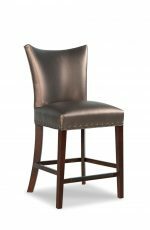 Featuring an arched upholstered back, thick seat cushion, nailhead trim, wood base, and metal footrest. 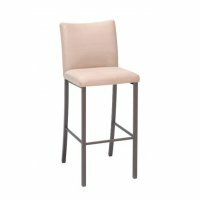 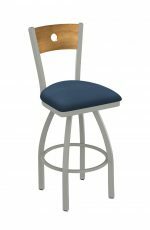 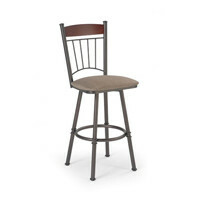 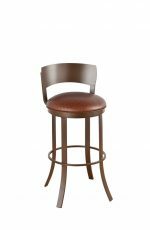 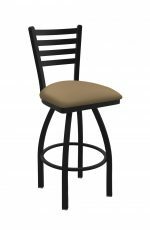 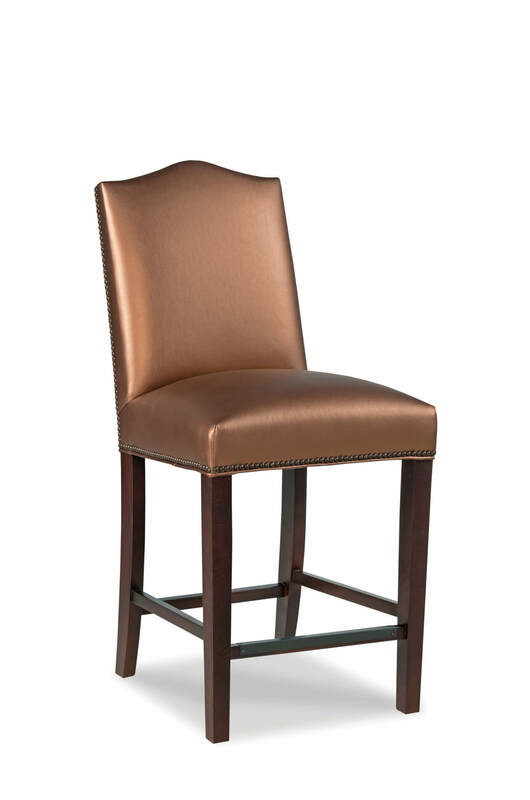 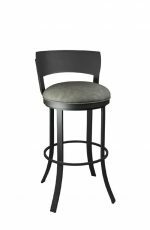 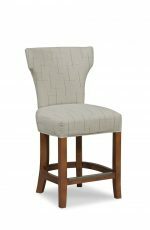 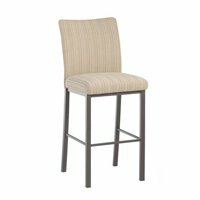 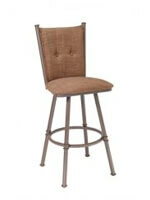 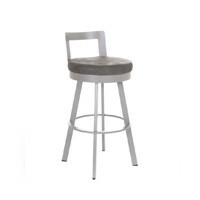 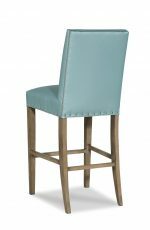 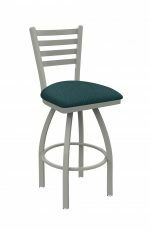 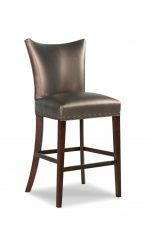 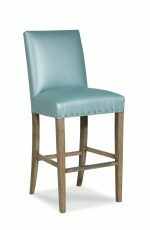 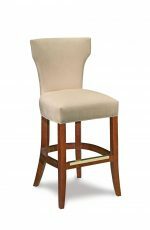 Handmade in the USA, the Haines bar stool will go beautiful in your transitional or contemporary kitchen and home bar. 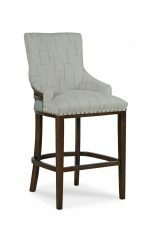 • For the Haines Upholstered Wooden Stool with Back, you will need 2.75 yards per chair.